More than 60% road accidents occur in rural areas and our main objective is to reduce that by spreading awareness among more and more people in remote area near all HZL Locations and all the remaining area of HZL Location districts in Rajasthan by participating with all the stakeholders to achieve our target of reducing Road fatalities and Road Accidents upto 50% by 2020 as the target set by UN, and create a safe and eco-friendly road culture. The program tries to cover at least three of the four important E’s of road safety – education, engineering, enforcement and emergency care. Currently, through these initiatives, we have conducted 2479 Awareness sessions reaching out to more than 3.2 lakhs people across the locations. HZL has also initiated a wide scale Reflective tape campaign covering 18 Gram Panchayats. HZL has also involved 300 Block level government and local administrative people. Large number of students and children across locations have been reached out through various essay writing, poster campaigns, debates and cultural programs in all 59 Shiksha Sambal Schools. Considering media an important stakeholder, various media sensitization workshops have been conducted. 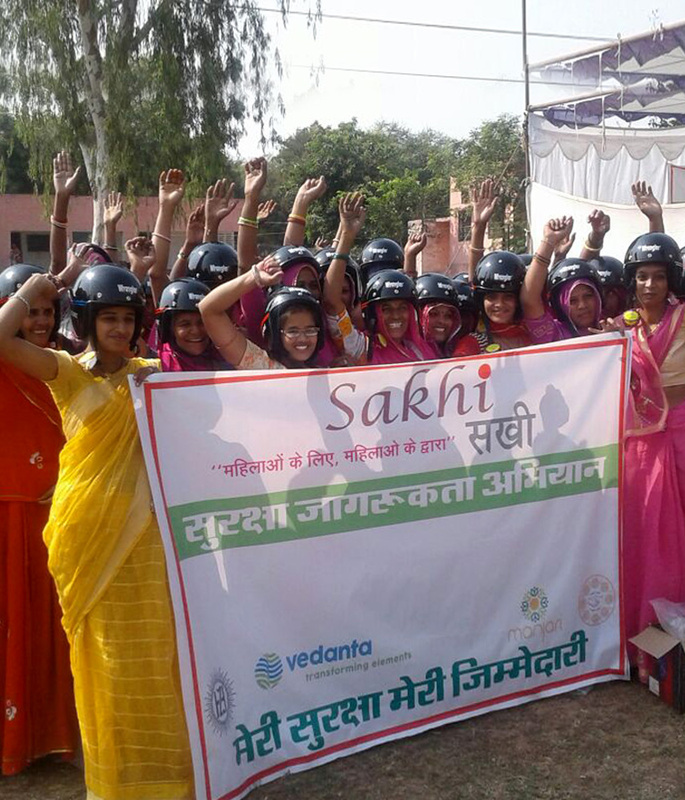 HZL has collaborated with Rajsthan Sadak Suraksha Society which have been well preeminent in spreading the message about road safety through Mobile Van in a wide variety of grass root activities aimed at raising awareness amongst all levels of society.